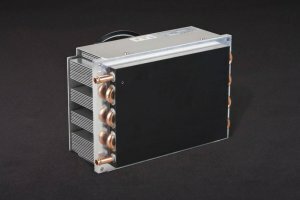 Liquid coolers excel at delivering cooling to concentrated heat sources such as laser diodes and for delivering cooled fluid into remote or compact locations where the cooling assembly itself cannot be located. 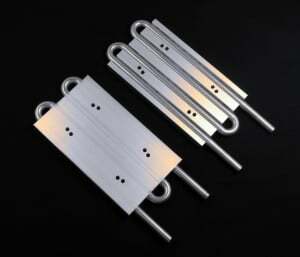 The basic operation is simple: fluid flows in one tube, it is cooled, and then it flows out the other tube. 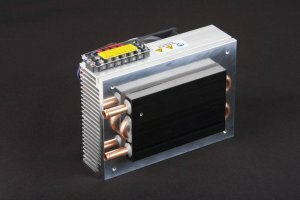 An external pump is required, and typically small DC magnetic-drive pumps are used to minimize the amount of pump power (heat) that is imparted to the fluid.